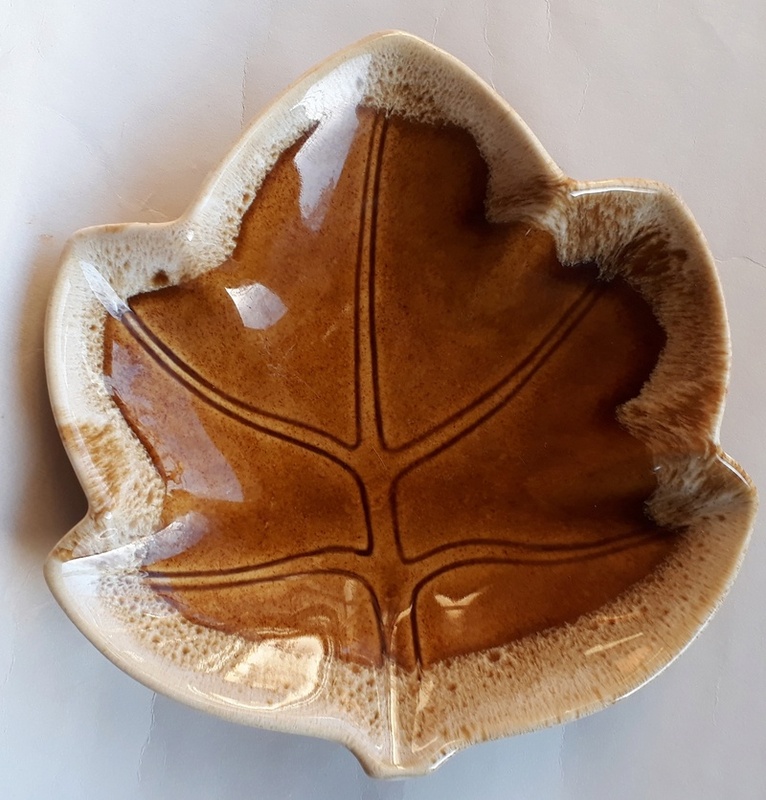 Logically this baby should be 1252 simple five pointed leaf dish... but it doesnt look like the drawing and it is the wrong size at 13.5cm across. It looks SO like the corn cob dish I found previously. I get so excited seeing new shapes these days as they are so few and far between !! 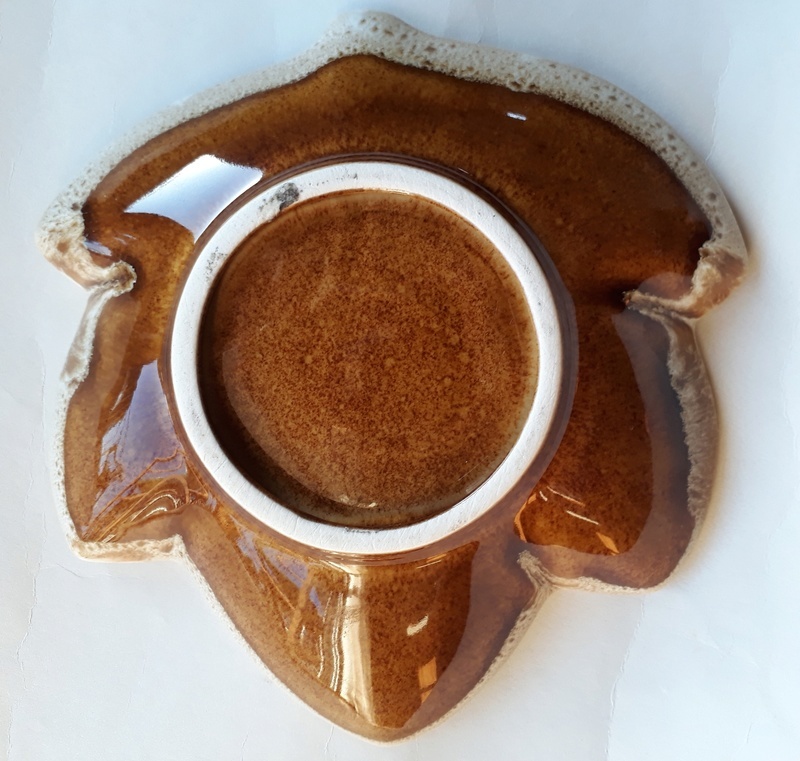 The glaze is the correct colour as I have a few of these various dishes too and the contrasting glaze is perfect as well. The size is only out by such a small margin that I wouldn't worry about it. The clay colour is a match for Crown Lynn and the tidy perfect footring too. I am happy with that Ev. Yay. Another gap filled.